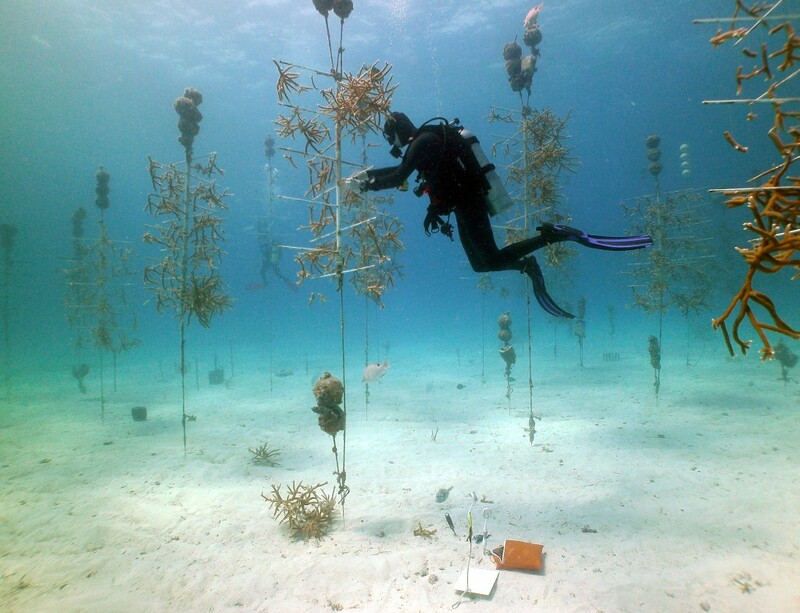 Beginning as an effort to repair reef habitats after acute disturbances such as ship groundings, the field of coral restoration is rapidly expanding across the globe as a key strategy for combating declines in coral cover caused by climate change. Increased scientific and on-the-ground discovery has improved the science behind these efforts, with increasing low cost and low-tech approaches making restoration a viable approach for many managers and community practitioners. Restoration of coral reefs can be used as one tool to promote resilience and is best used in combination with other resilience-based management strategies. This module discusses currently used techniques in coral reef restoration including enhancing coral populations through coral gardening and larval propagation methods, adding to or enhancing coral reef substrate to promote natural recovery and coastal protection services, and enhancing the environment surrounding and connected to coral reefs.